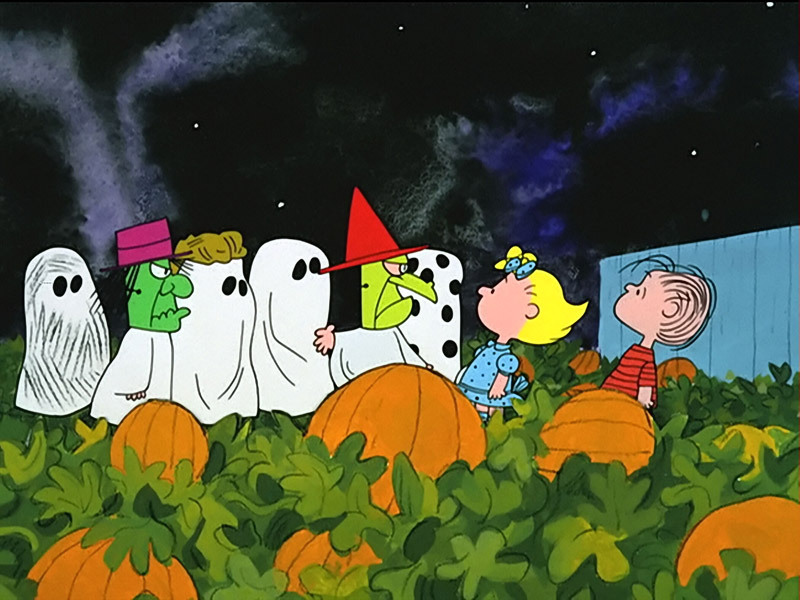 As we are less than a week away from Halloween today we take a look at the final batch of underrated horror films that you should watch to get you into the Halloween spirit. If you missed PART 1 or PART 2 then click on them to go and read the previous choices. So let get the chills and thrills started. I am a firm believer that most films do not need to be remade unless you 1) give the remake a truly new spin (a good example of this is John Carpenter’s The Thing that went back to the original short story “Who Goes There” but never tried to negate the original film either) or 2) pick a film that was a good idea and never quite lived up to its potential. The second one is for me where The Blob falls into. While I’m a huge fan of the original 1958 film starring Steve McQueen version it’s a product of its time. While the film still holds up it never quite fully realizes its full potential. Director Russell along with then unknown screenwriter Frank Darabont took the original story and gave it some new twists but keep the elements that made the 1958 version creepy and really ramped them up. 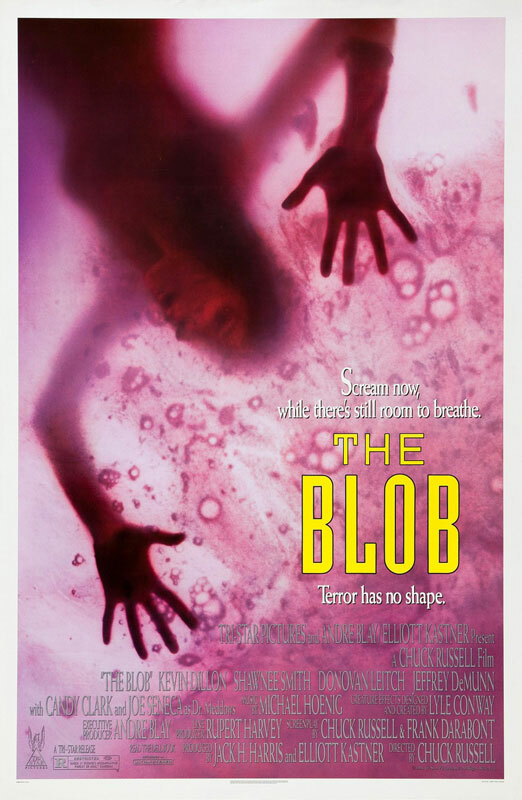 There are two elements that I love about this film and the first being that they used a female lead as the heroine that was very bold at the time and by killing his brothers friend during the movie theater escape meant that the kid gloves were off and no one was safe from getting eaten by The Blob. While there is quite a lot of gore in the film Russell wisely doesn’t dwell on it and uses a lot of tension building to do most of the scares. With both great make-up and visual effects that really bring The Blob to life the end result is an exciting and creepy film that really delivers on the original film premiss. Sadly the best version is the now out of print Blu-Ray released by Twilight Time that you can read my review of HERE. It is available on DVD that while it may not look as good as the Blu-Ray it still delivers a great viewing experience of the film. 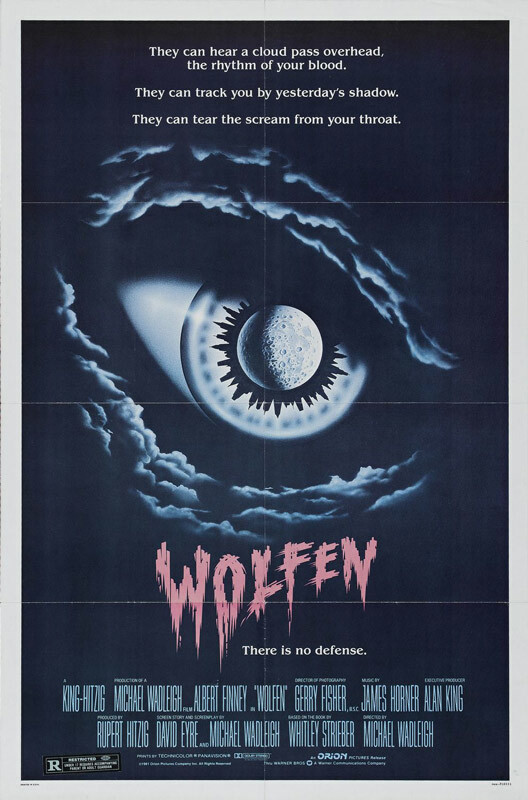 Wolfen is one of those odd films from the 1980’s that in some respects was a bit ahead of its time but it’s surreal visuals and off beat script was too much for audiences at the time of its release. As a kid I saw the film on HBO and even then was impressed with the concept of the film and the visuals. The one thing that I always found a little weird was Albert Finney as the lead. While Finney is a fine actor I never really wholly accepted him being the hero of the picture (and Looker starring Finney has a similar strangeness). He does his best but I think that it’s a visual thing that you don’t quite take him as an action hero figure. Once you go with it though you are able to get over it and enjoy the film. The other pluses with the cast are Gregory Hines and Edward James Olmos that are quite good in the film. 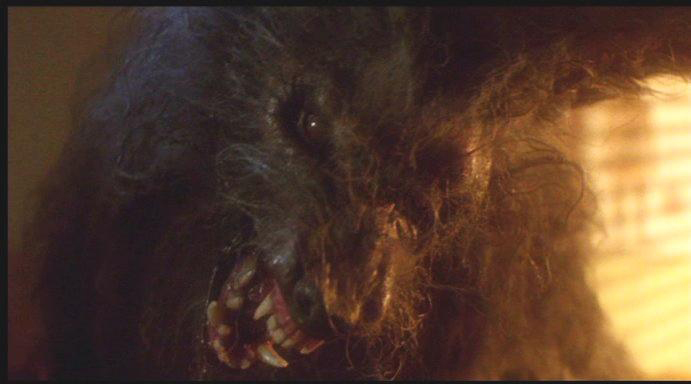 The one thing that the film never answers is if it’s actually about werewolves. That is part of what makes the film so intriguing is that it’s not the point. The one thing that the film nails is the wolf vision that is very similar to what you would later see in Predator POV. While this was Wadleigh’s only feature film he does a great job of suspense and building tension. It wisely doesn’t have transformations but never relies on gore to deliver thrills. The other thing is that it delivers a grim and seedy New York that you rarely see in film. This is a real gem of a film that you should really check out. 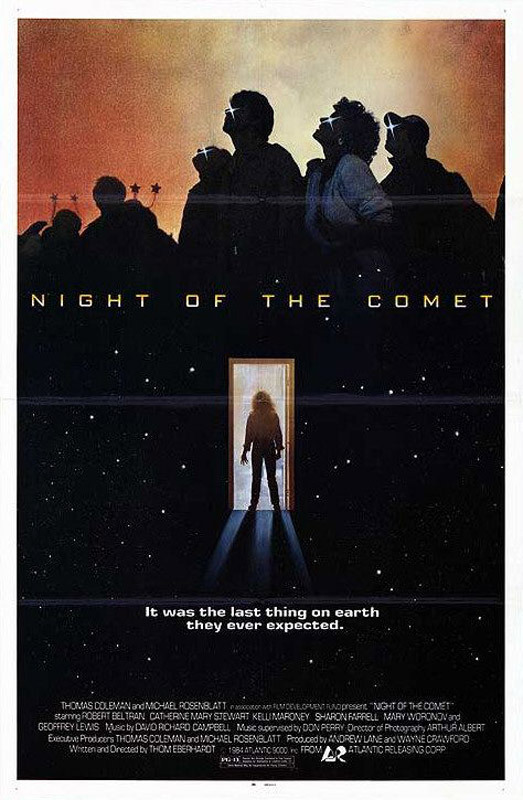 Night of the Comet is one of those films that isn’t really a pure horror film but a mixes of many different genres and is one of the most charming films you will see. 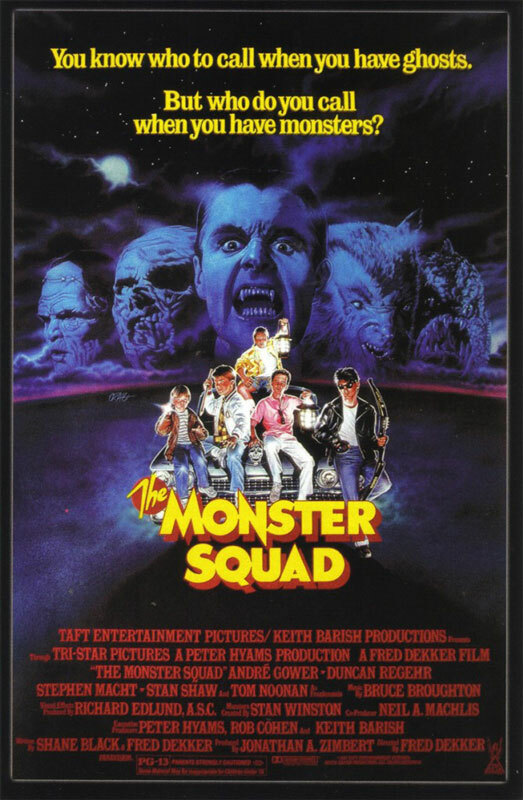 The key to the film working so well is Eberhardt’s snappy script and the performances of Catherine Mary Stewart and Kelli Maroney that are able to overcome the small budget and deliver a fun film that blends horror, comedy and science fiction wonderfully. The thing that Eberhardt does very well is that he treats the weird and wild premise of the story honestly and very matter of factly. It’s also very grounded in it’s “B-Movie” End of the World scenario that brings a real freshness to the genre that you rarely see. 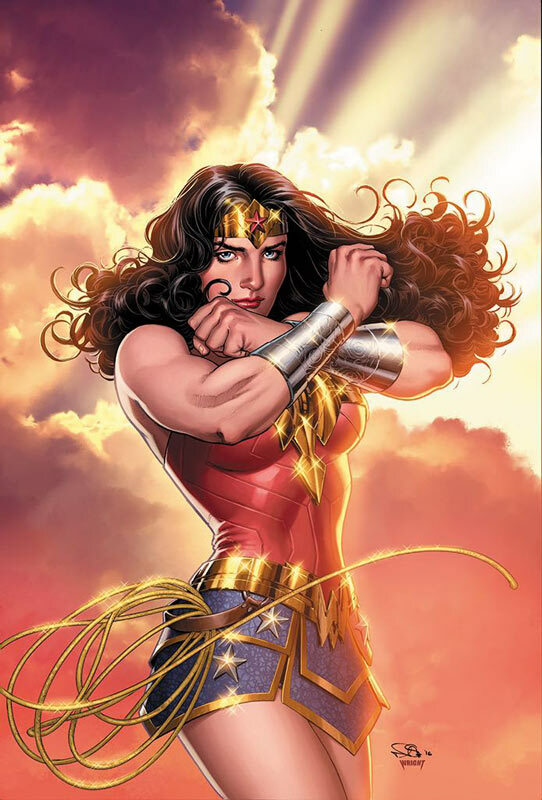 This is another great example of strong female heroines in the leading roles and not the typical damsel in distress. One of the best effects in the film is also its simplest. They shot the film guerrilla style in downtown Los Angeles in the early morning on the weekends while blocking the streets to get the “deserted” look that they needed and using a heavy lens filter to give it a post apocalyptic look that is quite effective. The whole movie is quite smart and there is a really good reason why this has become quite a cult hit over time. While some might argue that this film is far from underrated, I still find many people who have never seen this film. Written by Shane Black Dekker delivers a true love letter to the Universal Monster characters that is simply a perfect film. The film tanked upon its inital release due to poor marketing of the film to the young male crowd that sadly had no clue of what the film was. To tell you how bad this marketing was I have a story of when we went to see the film on its opening weekend and the theater was nearly empty but there was a group of boys about 12 to 14 (the key market according to the studio) and when the kids are confronted by Dracula Horace pulls out a slice of pizza and burns his face because of the garlic in the pizza. One of the kids in the theater asked his friends how did that happen. The one says “that pizza was so hot it burnt his face”. I knew then the fate of the film at the time was sealed and the film tanked at the box office. There are many things that the film excels at. The visual effects by Richard Edlund’s Boss Film Effects are simply top-notch here and deliver far more than the budget would have you believe. The other is Stan Winston Studios that delivered some of the best makeup effects that they have ever done. The reason that they are so good is that they made them as close as legally possible to the Universal Monsters as they could and that is why they work so well. They are a loving tribute to the Universal versions but his team completely modernized them without losing the thing that made them work so well in the original Universal films. The script has all of the snappy dialog that Black is well-known for and spot on direction by Dekker make this a horror classic that they whole family can enjoy that is a very rare feat. The big key to the film working so well is the cast that Dekker assembled for the film. While there were no big names in the film it but each of the cast members were perfect for their roles. Having kids as the main characters is difficult to cast but each of the kids were perfect and spot on in delivering some very impressive performances. There are many nods and winks to both the genre and the Universal Monster legacy that for fans such as myself were very impressed with. Thankfully the film has not only endeared but flourished over the years and has finally seen as a great film that deserved better at the time. We also learned that the Wolfman’ got nards! This is one of those films that is a throwback to more suspense driven horror films such as The Haunting and doesn’t rely on cheep thrills to deliver a quite scary and unnerving film. 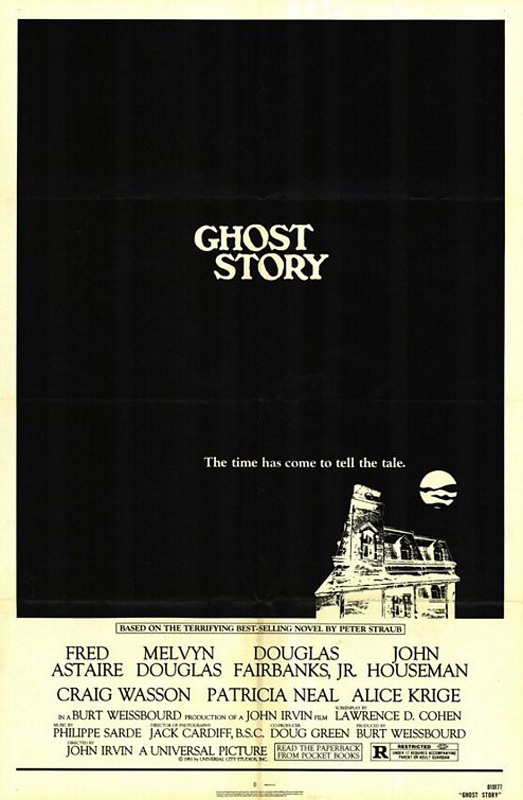 Based on the Peter Straub novel it boast one of the most impressive cast of classic actors with Fred Astaire, John Houseman, Melvyn Douglas, Douglas Fairbanks Jr. and Patricia Neal that gather to tell ghost stories and that they also share a long kept secrets that binds them together. 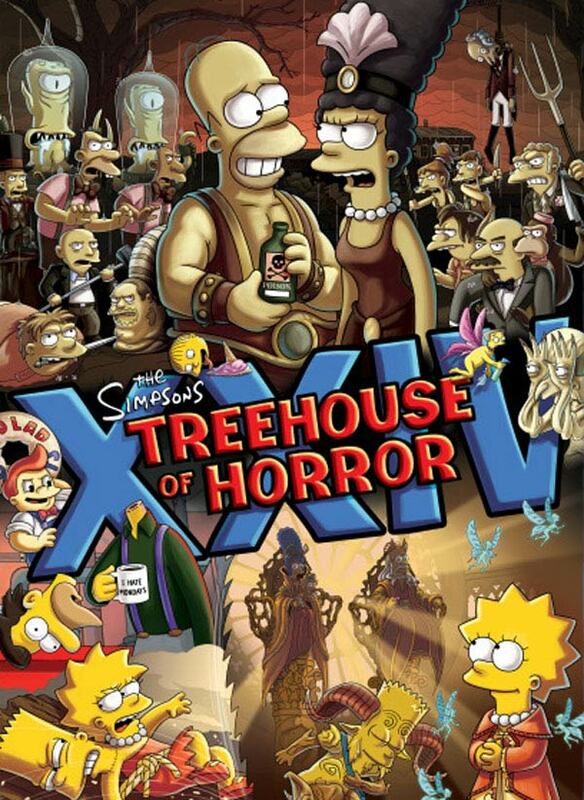 The film delivers a good bump in the night type horror film that does not rely on gore or special effects. 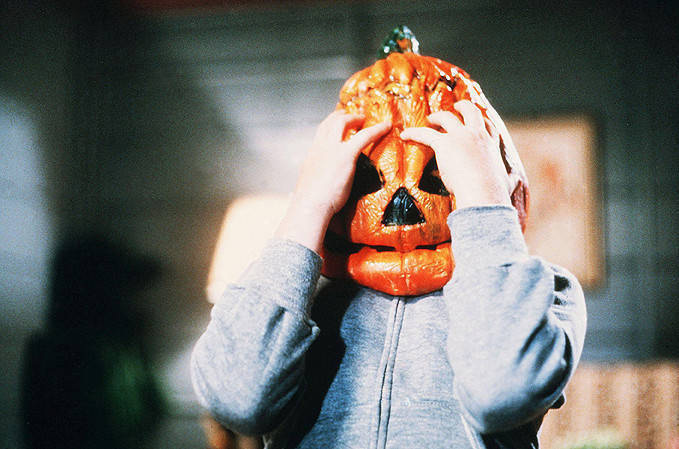 This film was unusual for its time in a post Halloween and Friday the 13th era and goes for a more classic scares that makes the film work so well. Irvin is more well-known for his later action driven films but he directs this film quite well and never overplay the script. 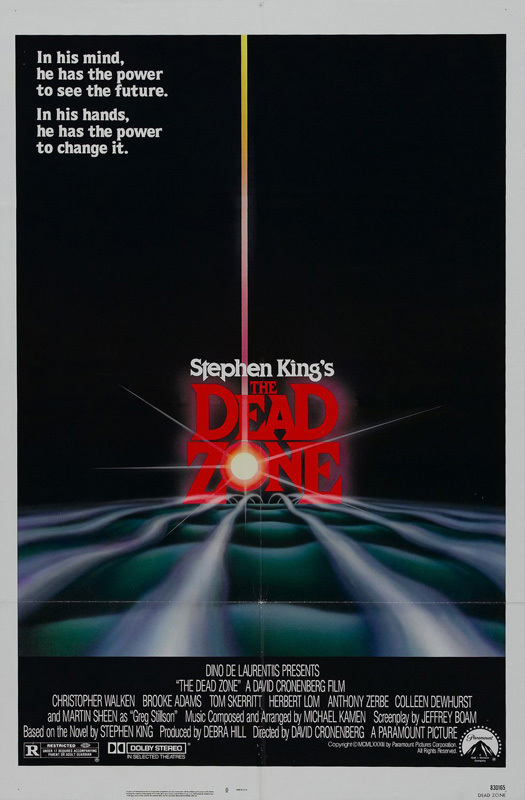 While there are a few uneven moments in the film it’s one of the few horror films from the 1980’s that delivers a classy atmospheric horror film that never panders to the audience. The cast alone makes this a must see film. 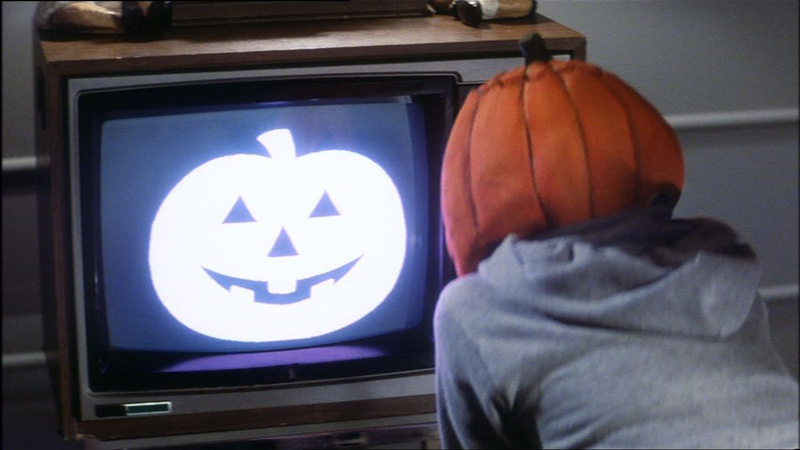 There are many other underrated horror films and the list could go on and on but I hope that there are some lost gems that maybe you would have never thought of before on the lists that you can add some freshness to the Halloween film festival that you show. If you have some of your own then leave them in the comments section to share with others.